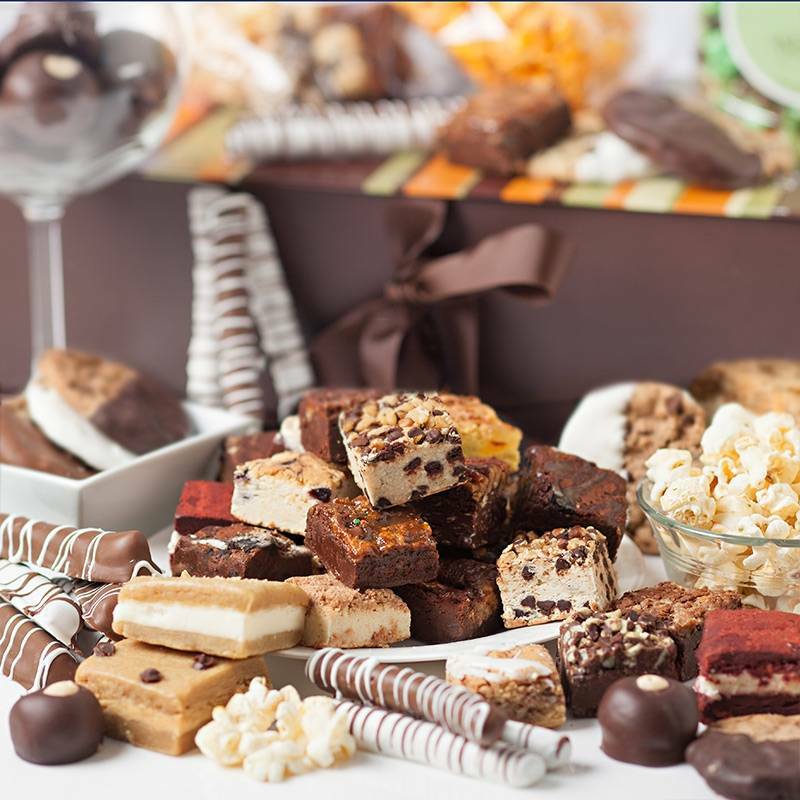 Our deluxe Brownie Points bakery sampler is overflowing with our finest assortment of gourmet brownies, confections and popcorn! Neatly packed, you will find gourmet baby brownies, hand dipped pretzel rods, gourmet buckeyes, half dipped cookies, and posh popcorn. 77 piece count.